Asteroid Explorer Hayabusa2 (“Peregrine Falcon” in Japanese) is a Japanese Aerospace Exploration Agency (JAXA) spacecraft which is scheduled to return a sample of asteroid Ryugu to Earth in 2020. Hayabusa2 is a successor to Hayabusa, which returned a sample of material from a small near-Earth asteroid named 25143 Itokawa to Earth on 13 June 2010. Even though Hayabusa experienced numerous technical glitches, its success inspired the Hayabusa2 mission and further exploration of near-Earth asteroids. Hayabusa’s origins go back even further, predating the establishment of JAXA. In June 1986, the Institute of Space and Astronautical Science (ISAS), now part of JAXA, developed a sample return plan for the asteroid Anteros to be launched during the 1990s. However, ISAS decided against launching the mission until some of the technologies were able to mature. By the mid-1990s, ISAS created a sample return mission called the Mu Space Engineering Spacecraft (MUSES-C) but delays pushed its launch to 9 May 2003, when it was renamed Hayabusa. Hayabusa2’s goal is to build on the success of Hayabusa and to establish the basis for future deep-space exploration. The structure of the probe itself is similar to the original Hayabusa but Hayabusa2 has incorporated novel technologies which have developed since its predecessor was designed. Hayabusa had a parabolic shaped antenna, where Hayabusa2 has flat antennae allowing for increased data transmission. Hayabusa2’s four ion engines produce 10 mili-Newton’s (mN) of thrust per engine compared to the 8mN per engine on Hayabusa. Other instruments such as the sampler mechanism, target markers, re-entry capsule, remote sensing instruments, and small landers/rovers have been improved since the original mission. Additionally, Hayabusa2 has a “collision device” allowing it to create an artificial crater to collect “fresh samples” which are less weathered by the space environment. Hayabusa2 was launched on 3 December 2014 from the Tanegashima Space Center and arrived approximately 20 kilometers (km) away from target asteroid Ryugu on 27 June 2018 at 9:35 a.m. (Japan Standard Time, JST). During the week of 16 July 2018, operations began to lower Hayabusa2’s hovering altitude to less than 6 km from Ryugu’s surface. 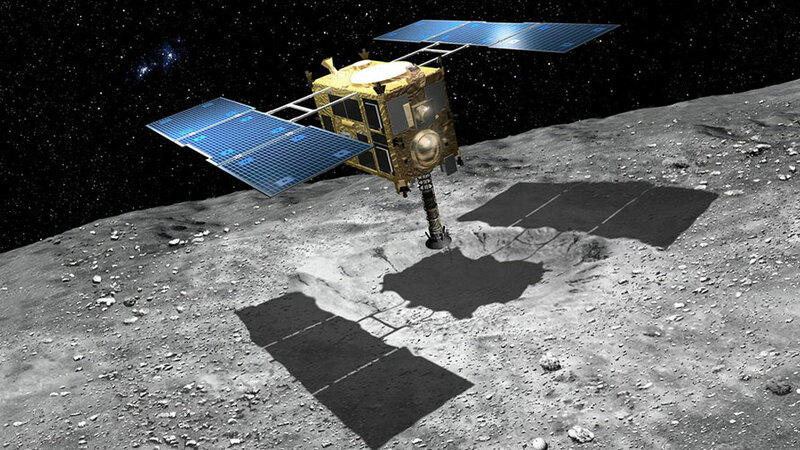 Hayabusa2 is scheduled to attempt as many as three brief landings with a goal of collecting at least one gram of material from the surface of Ryugu. The first landing attempt will occur in October 2018, with a second one to possibly follow in February 2019. Ryugu was discovered on 10 May 1999 by Lincoln Near-Earth Asteroid Research astronomers at Lincoln Lab’s Experimental Test Site near Socorro, New Mexico. Ryugu is a C-type, carbonaceous asteroid. C-type asteroids are the most common type in the solar system and are composed of carbon compounds, hydrated minerals, and various metals. Ryugu is composed of contain nickel, iron, cobalt, water, nitrogen, hydrogen, and ammonia. 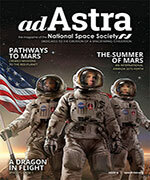 All the compounds in the asteroid are listed to be worth $82.76 billion by Asterank, a scientific and economic database of over 600,000 asteroids. Not only is Hayabusa2 a testament of our desire to explore the unexplored, it is also a testament of our growing ability to explore the cosmos. Additionally, the mission is significant in understanding more about ourselves. JAXA notes they expect to clarify the origin of life by analyzing samples acquired from Ryugu to study organic matter and water in the solar system and how they coexist while affecting one another. 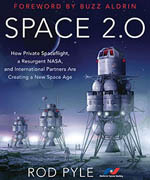 Finally, missions like the Hayabusa family and NASA’s Osiris-Rex (scheduled to sample the asteroid Bennu in July 2020), and companies like Planetary Resources, Deep Space Industries, and others are part of an ecosystem on the cutting edge of technologies, policies, and practices that will allow humanity to take advantage of (a fraction of) the estimated $15 quintillion worth of asteroid-based resources available in our solar system. Extremely pleased that this website lists the Asterank evaluation for Ryugu, since the source gives a high evaluation for the asteroid. However, I would like to know where this source derived the original calculation for the asteroid’s worth. Clearly the outcome of the Minerva, Mascot and Falcon2 data retrieval should be a re-evaluation of the asteroid. A re-listing of the estimated value to a higher value would be one possible outcome of the new data. That would clearly occur if the new landers were to find a high abundance of Platinum Metals, Titanium, Molybdenum or Tungsten. Given the quality of cameras in our mobile phones in the last five years, why do the photos and ‘video’ returned from Hayabusa 2 appear so mediocre?